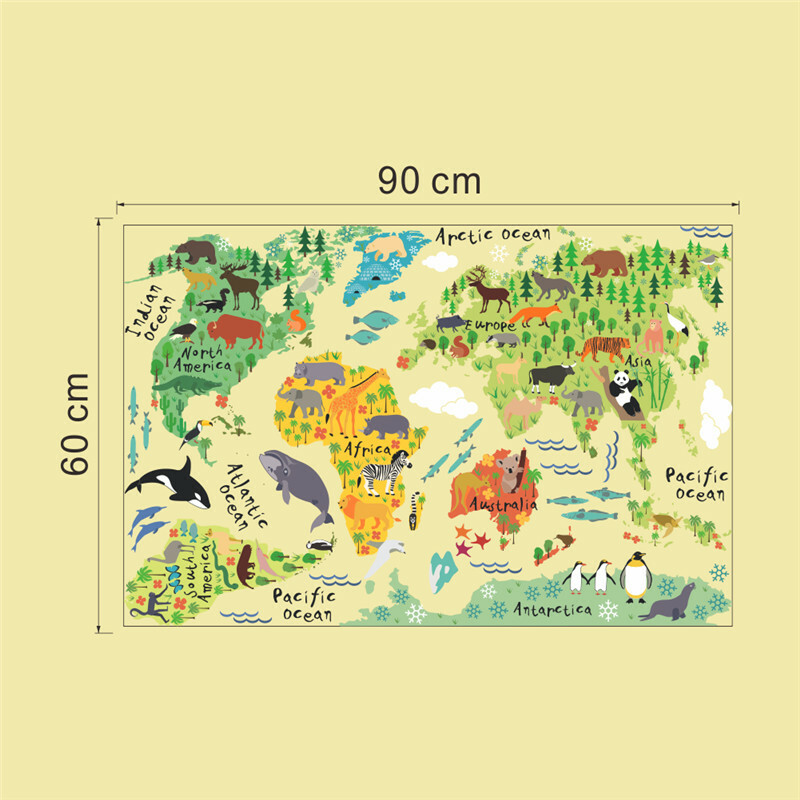 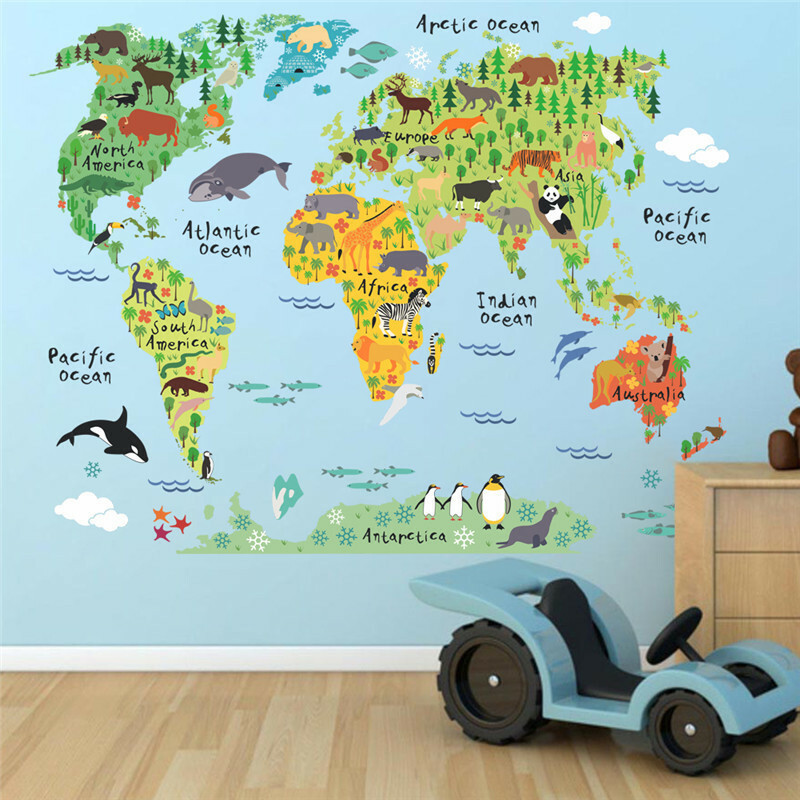 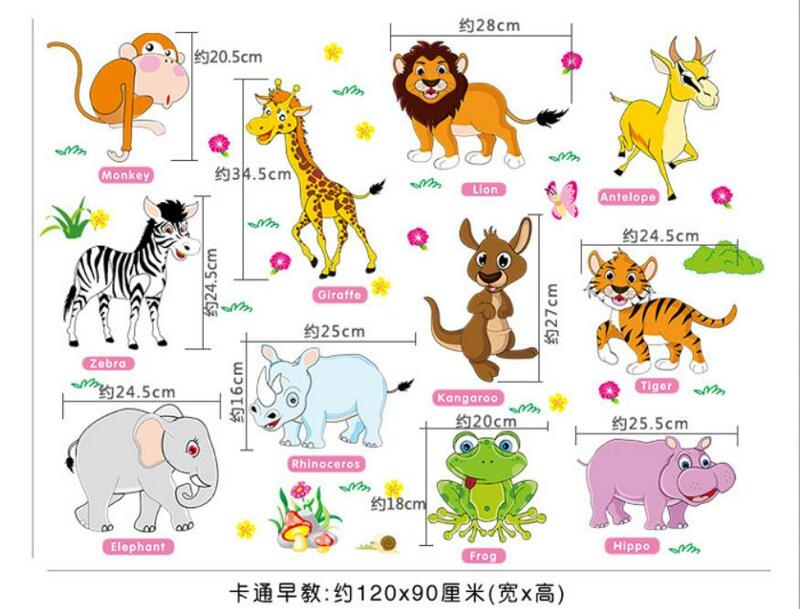 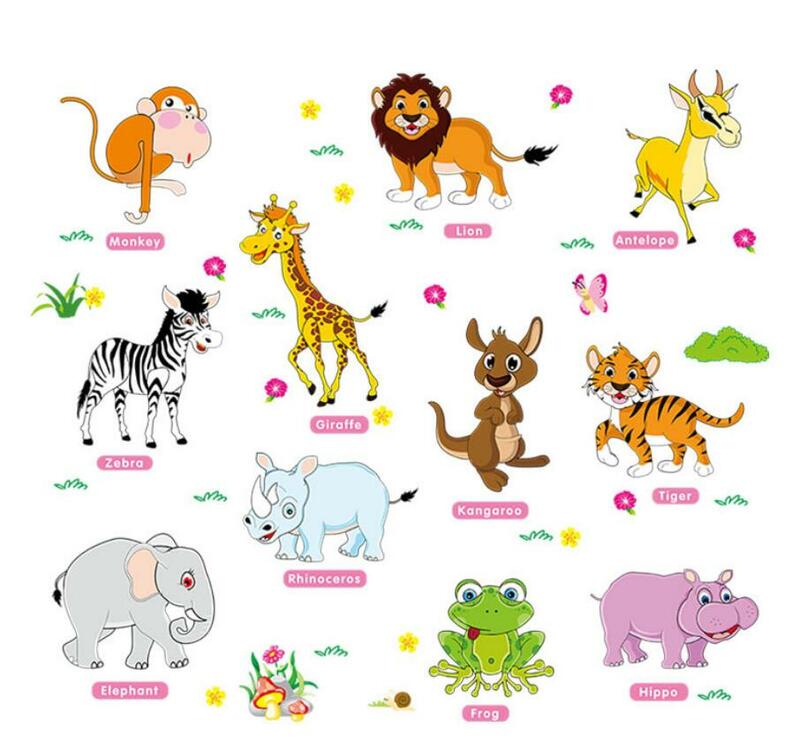 Animal world map wall stickers are one of the most educational yet, enjoyable products. 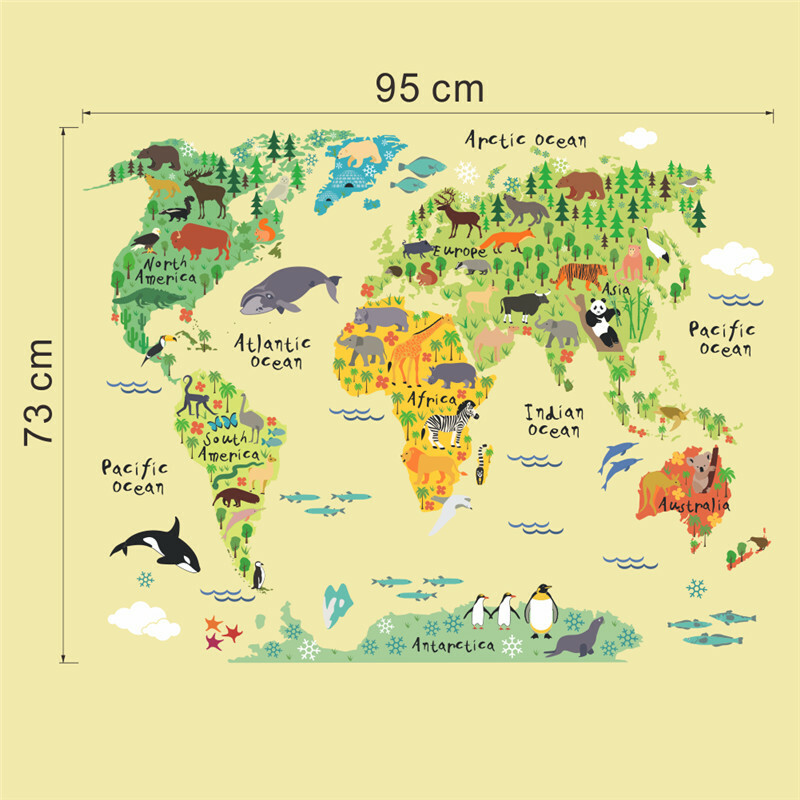 It gives you the chance to teach your child further into some important components in the world; different places, oceans, continents, and animals in their natural habitat. 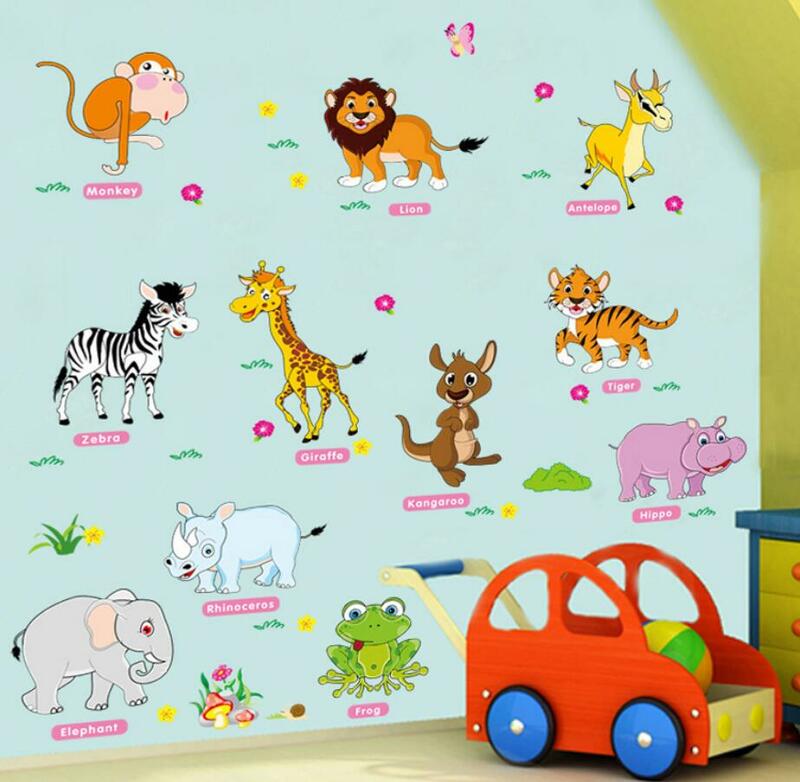 Application: Can be applied to any flat surfaces such as painted walls or ceiling, wallpaper, cupboard, furniture, glass, metal, even in the bathroom. 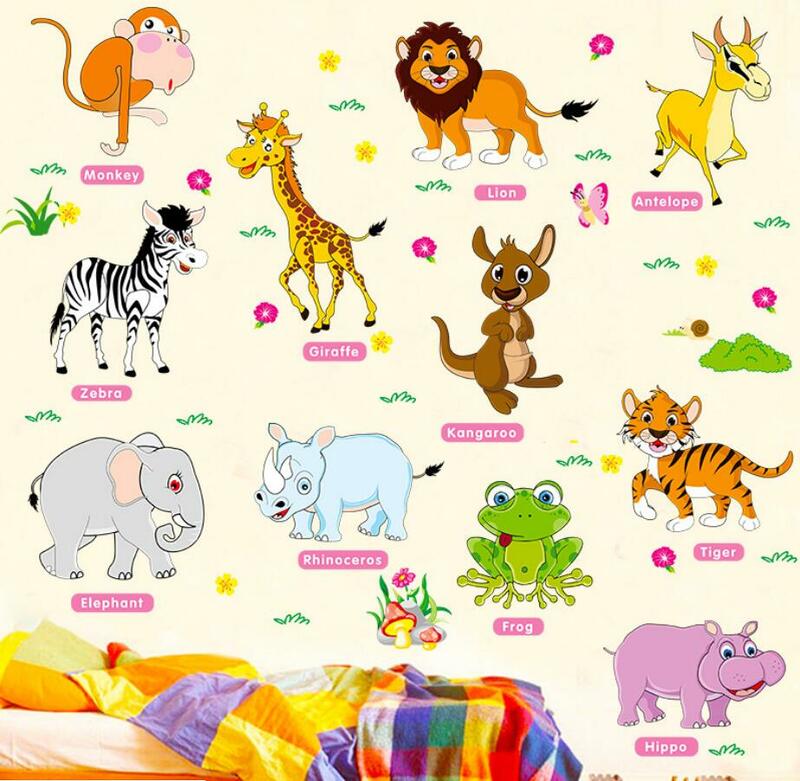 Features: Finest quality film, eco-friendly, removable, repositionable, can be wiped clean, easy to apply.